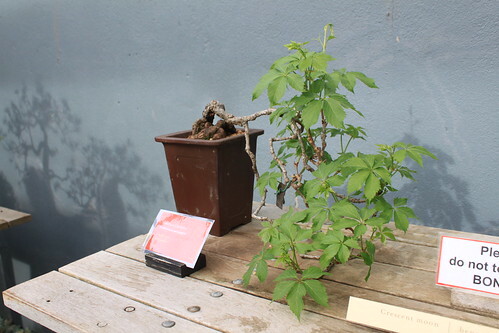 Although it is often mistaken for poison ivy, I am a steadfast fan of Virginia Creeper and I’ve seen a lot of it in my day. I’ve seen it in my yard, on the Appalachian Trail and on travels. I’ve seen it creep and take over abandoned dams. I’ve seen it turn a gorgeous burgundy in the fall and I get to see Virginia Creeper any time I look at the State Seal or the State Flag of Virginia. 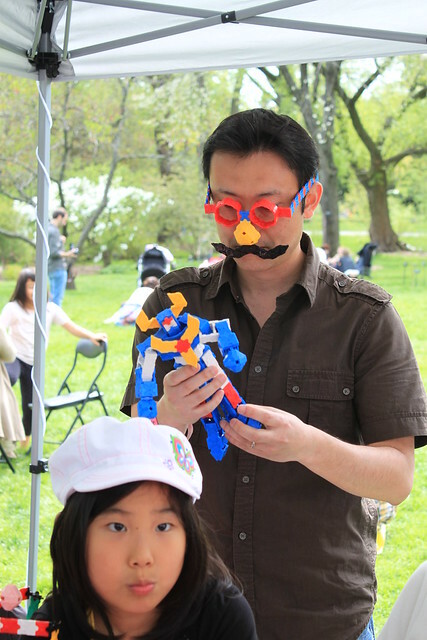 On April 30, Georgia at localecologist went on an Animal Architecture Safari in Brooklyn. That very same weekend, I was also in Brooklyn and admiring architecture. Only I was taking note of plants instead of animals! 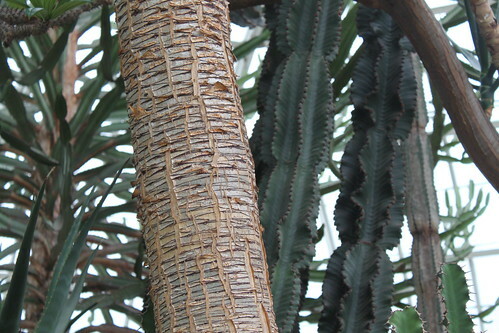 One thing I loved about the Brooklyn Botanic Garden was how they used recognizable species in their structures. I was particularly fond of the doorway to the Native Flora Garden. 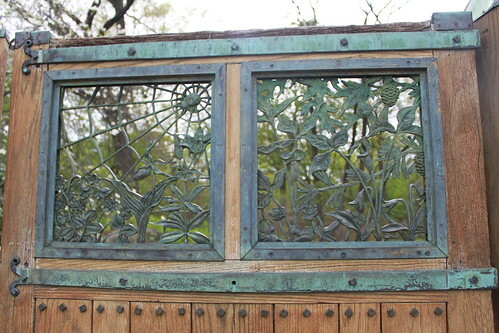 The metalwork on the door had some cameos by familiar wildflowers. 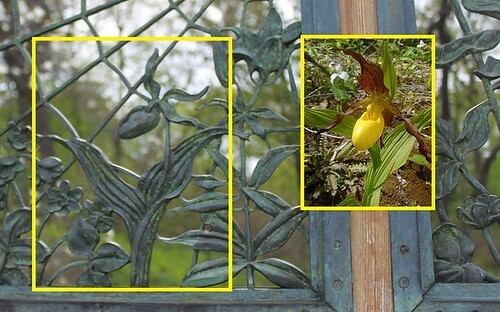 The left panel of the door featured a Lady Slipper Orchid. They even included the grains in the leaves! 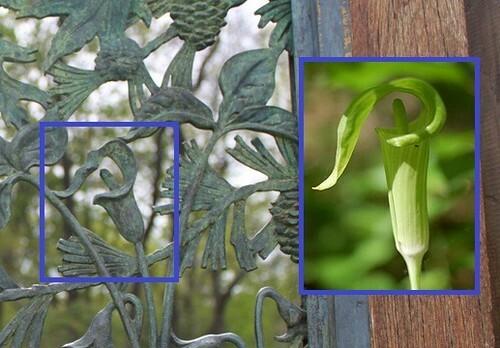 Meanwhile, the right side of the door featured a Jack in the Pulpit. What wonderful attention to detail they put into their designs! 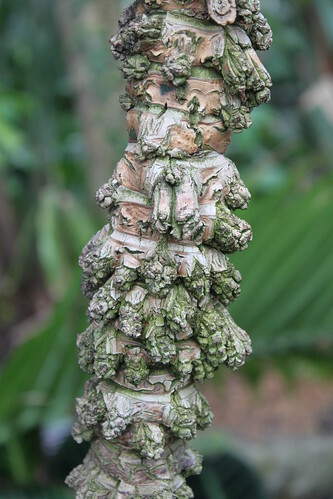 More pictures of the Brooklyn Botanic Garden can be found on my Flickr site. 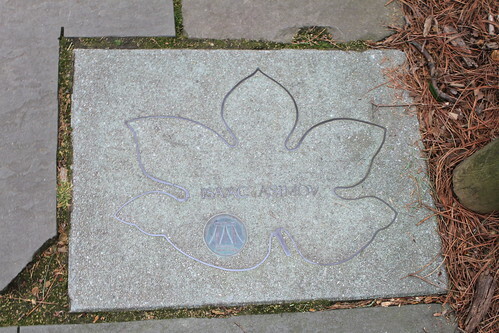 Part of the Brooklyn Botanic Garden is a Celebrity Path. 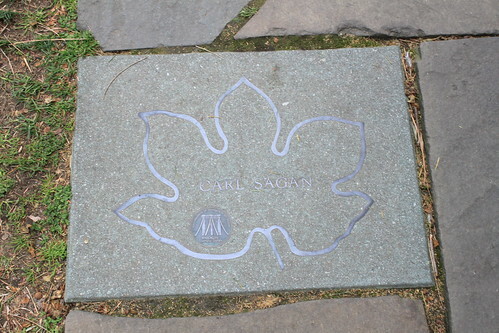 It’s a nice paved path the winds through nature that bears the names of famous people who were born in or had lived in Brooklyn. My parents have a subscription to the National Enquirer and I have noticed that Ryan isn’t caught perusing its pages anywhere near as often as I. And so, it wasn’t surprising that on our short walk over the Celebrity Path, Ryan’s chin was a level ninety degrees whereas mine was angled downwards reading all the names. 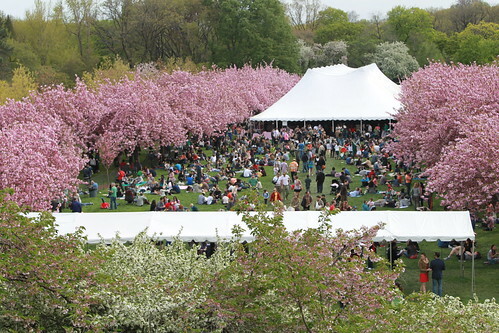 Sunday May 1st, Ryan and I were still in New York City and only a couple of miles from the Brooklyn Botanic Garden. After breakfast, we decided to walk down and check it out. 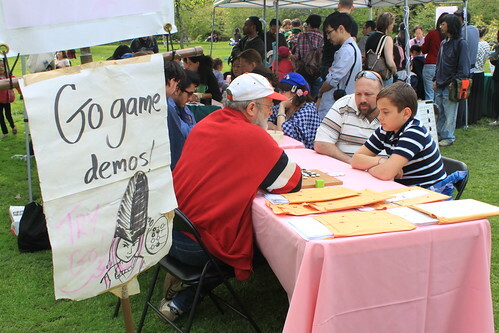 Unbeknowst to us, the day coincided with the Sakura Matsuri Cherry Blossom Festival. 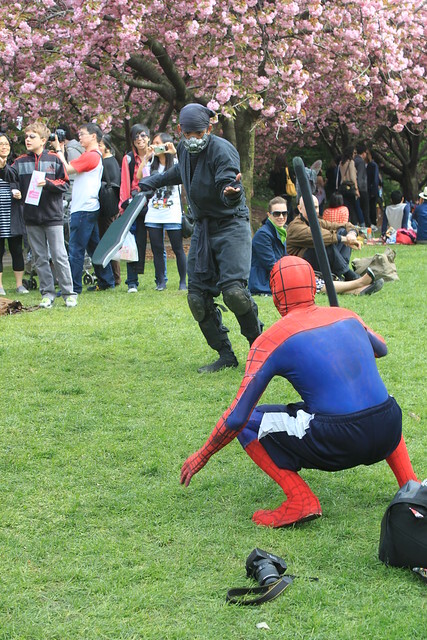 In addition to hanami (the Japanese traditional custom of enjoying the beauty of flowers), the festival celebrated Japanese culture– traditional and contemporary. 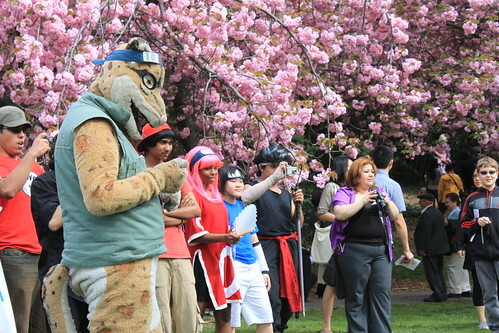 As a result, Ryan and I got to take in beautiful cherry blossoms, see a Taiko drum demonstration, watch attendees learn Go and see a number of people dressed up as Anime characters… and huge crowds. 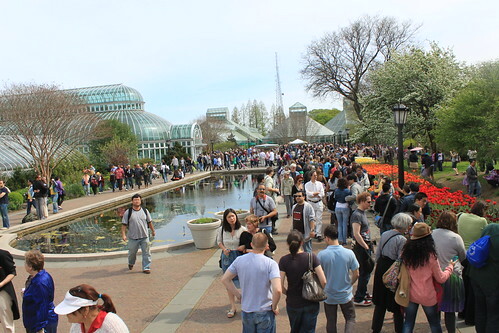 More pictures of the Brooklyn Botanic Garden can be found on my Flickr site. 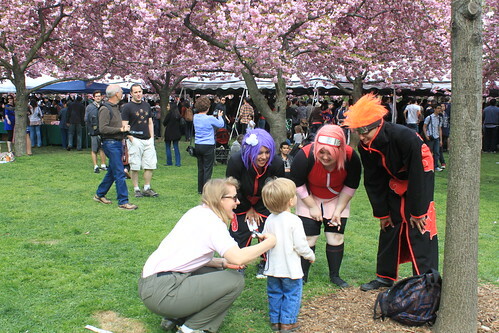 You can also check out the official BBG-Hanami Flickr group. 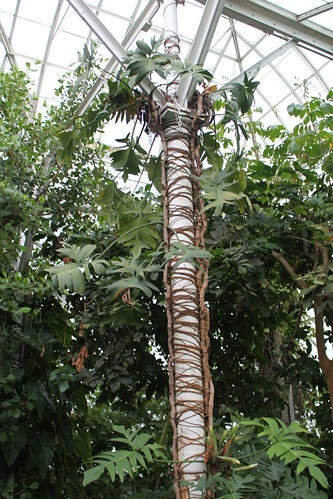 Ryan and I visited The New York Botanical Gardens at a great time. 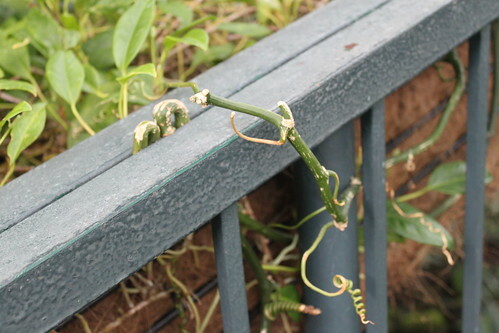 We got to see a whole lot of blooms and subsequently got a whole lot of pictures. To keep it short and sweet, here’s a mosaic from Big Huge Lab’s Mosaic Maker. Enjoy! Thirsty for more New York City spring blooms? 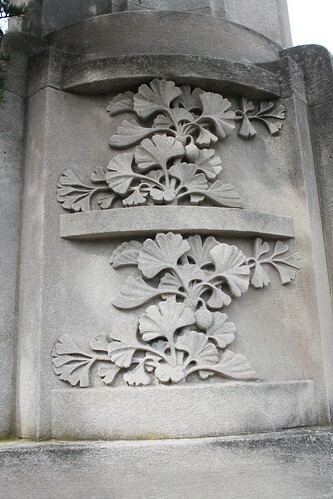 Check out Spring Blooms in Washington Square by localecologist. 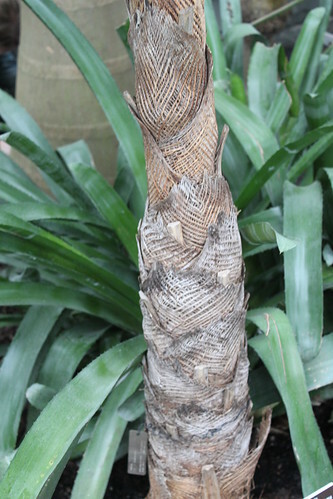 More pictures of The New York Botanical Gardens can be found on my Flickr site. 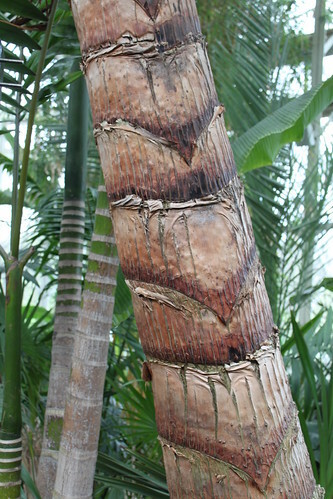 During our visit to the New York Botanical Gardens, I was quite enamoured with the variety of textures one can see just in palm tree trunks. 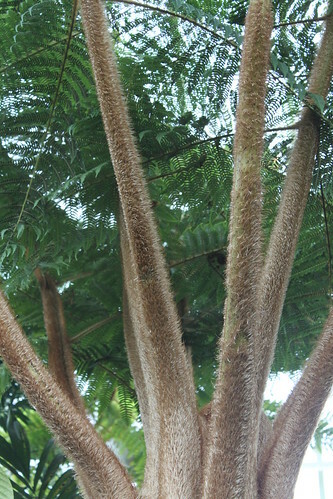 There are about 2600 different species of palms– some species live in rain forests. Others live in deserts. With that kind of range, obviously they have to be pretty diverse… and one can spy souvenirs of that diversity even if you look no further than the trunks.